This is the eighteenth installment in the series of articles from Alan Haywood, one of the clubs early members. You can see the full series of articles here. Neville Oldham (you can see a profile of Neville here). Ann and I moved to Macclesfield in 1957. We had spent 7 years cycling together as members of East Cheshire Wheelers, of which I was Club Captain when we met in 1950, both aged 16. We spent all our spare time cycling in Cheshire and The Peak District. We married in 1954 and were delighted when we moved into our 2-bedroom house in our favorite town 3 years later. We owned a 1949 model BSA Bantam 125cc motor bike and in 1956 we loaded a vast amount of luggage (Including fins, mask and snorkel) and drove the 365 miles to Penzance. At last I had an opportunity to sample some clear water. I had my first open water dive using Draeger equipment on Boxing day 1954. 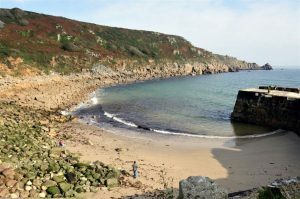 Then it was free diving in lakes, flooded quarries and rivers until our epic motor cycle trip and we discovered LAMORNA COVE in July 1956. It was paradise! At High Tide the area around the harbour wall was full of constantly moving fish, including Mullet, Bass, Dover Sole, Plaice, Turbot an Ballan Wrasse. Future holidays were spent in areas of deep and clear seas around the British Isle’s driving there on increasing larger motor bikes. Then in 1964 we called at “The Highwayman) in Rainow and met the publican, Neville Oldham. In February 1964 I became membership number 16466, East Cheshire Branch 100 and found myself in even deeper water, with lots of new friends. Most of the talk in “Bate Hall” after the baths session on Thursday evening were about Cornwall, Lamorna Cove and “The Wink”. 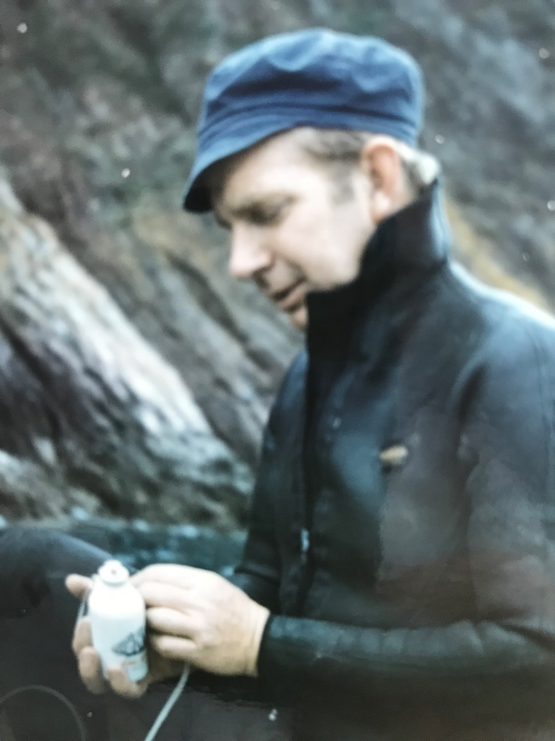 My first Lamorna Club Dive had to wait until September 28th, 1964, meanwhile I completed my training with a number of fresh water dives in The Blue Pool, Kirby Lonsdale and Coniston and Sea Dives in Anglesey. In the 8 years since my free diving time in and around Lamorna I was amazed to find a vast difference in the undersea life. Fish in The Cove were limited to a few Wrasse and an occasional Mullet, Small boat fishing had increased considerably and holiday traffic to the area had increased tremendously as our motorway system was opening. My first dive was typical of “first Dives” at Lamorna for the next 18 years. A long snorkel to “Woodcutters Rock” from the cove beach, dive and swim back underwater. There we found Turbot and Dover Sole. The Club Avon Redshank dinghy provided cover and I notice from my log that this was the first time “Life Jackets” were compulsory, (surface support only). During one of the early Lamorna dives Neville, kitted up and ready to dive was asked if he was a diving instructor. He explained to this young lady he was a BSAC member and the club was the best source of instruction, did she wish to join? She explained the request was for information for her boyfriend. Neville returned from his dive to find she was still in the cove and she was surrounded by people. She left the group and joined Nev for a coffee at the beach café. To his amazement, she introduced herself as Pat Phoenix, Coronation Streets Elsie Tanner, she was staying at Tregurno Farm and would Neville meet her there for dinner later, to discuss diving? Neville stayed at Tregurno on his next visit, invited Ann and Me to dinner and we plus five friends and wives stayed with Mrs. Jefferies at the farm every Easter for the next 18 years. Most Cornish holiday coves banned divers at this time however, because of East Cheshire good behavior and help to the local fishermen we were made welcome. 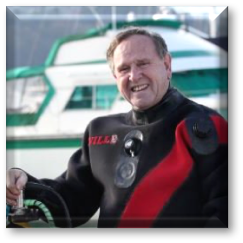 My next dive was 2nd October, five days after my introduction, my buddy was Neville Sheard and we dived the Outer Buck Rock from a local fishing boat. Depth 40 metres, duration 15 minutes. I met Pete on my first visit to the swimming pool and my introduction to East Cheshire Sub Aqua Club. We became friends immediately, he was a plumber who had graduated to coppersmith working on the cooling systems of large marine diesel engines. Club equipment was minimum, an inflatable dinghy and two sets of diving equipment provided by BSAC on the branch formation. 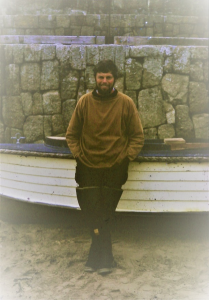 He was responsible for maintenance of the club equipment plus maintenance of a Seagull 5 horsepower single cylinder outboard motor which belonged to Pat Heron, a fellow member, and was on permanent loan for club use. Pete’s weekly job was to ensure the club and member diving cylinders were charged prior to training and dive sessions. The nearest compressed air supply was at Stockport Fire Station, were the club had arranged cylinder filling when their equipment was not in use for official purposes. Pete was married, his wife Audrey was Club Secretary and event organizer, although this was a little complicated because nobody called her Audrey! She was known as “Irma”. The romantic comedy film Irma la Douce was released in 1963, starring Shirley McLane and Jack Lemon, having enjoyed the film Audrey became Irma ever after. I passed my cylinder, regulator and weight belt to Pete for club certification, these passed his inspection with no problems. He followed the inspection with a personal request, “Can I borrow your regulator for the Easter Dive”? I had a Siebe Gorman Mistral single stage twin hose regulator, his Nemrod Snark was being repaired, as I was not using my equipment I willingly loaned it to him. He was surprised to find I was “using an old-fashioned valve, with all the new single hose gear now available”. A short time after I bought a new two stage Draeger twin hose valve and twin set. At this time, Cousteau films were on TV with his divers using cylinder harness molded from PVC with a simple harness, this was copied and sold in dive shops in the UK. I made a similar one from alluminium but Pete went “The Full Monte”, he made one from copper plate, a work of art. Only used it once, it was so heavy he needed a hoist to get back on board the boat. 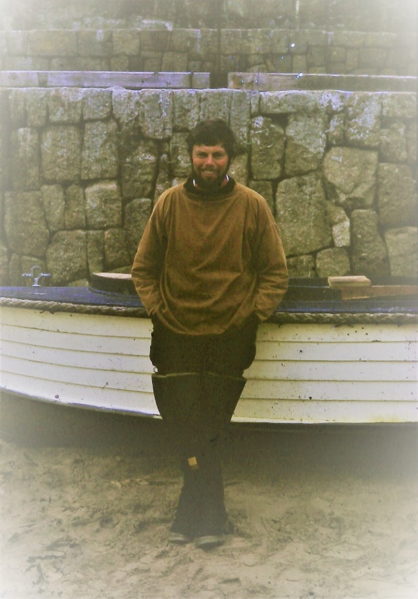 Pete eventually moved from Prestbury to Mousehole and became standby diver at Newlyn Harbour. He replaced a traditional Hard Hat Diver when he retired, Pete used Scuba, most of the work being short term rope and net problems, although I understand he was trained for traditional gear use. Pete and Irma lived in Mousehole for many years in a delightful, tiny cottage. It was so small that the furniture was adaptions of early Royal Navy fittings. For example, the dining table was hinged from the wall and after use a rope, forming the outer support was pulled through two pulleys a cleat on the wall, leaving the floor space clear. Ann and I called for a weekend visit we had planned and Pete had to move his dismantled motor bike from our bed when we arrived. I met Pat on my first training session at Macclesfield Baths in 1964. He was a big man and was swimming wearing a twin “Tadpole” set and twin hose regulator which looked like two baked bean tins on his large back! The Tadpoles started life as high-pressure air cylinders to operate the pneumatic equipment on RAF fighter aircraft. Tested and fitted wit new “A” clamp valves they provided 25 cubic feet of breathable air at 120 atmosphere working pressure. I soon experienced Pat’s ability to make the 50 cubic feet of air available in this set last longer and allowed him to dive deeper than was possible to normal divers. After his buddy left An early copy of “Triton” (Diver Magazine) produced an article on deep diving including the advice, “ if you are diving in deep water always ascend to the surface slowly”. No mention of decompression, that came later. Pat took this advice suitably modified! In the water he did everything slowly, leaving his boat cover (usually me) worried. Diver instruments were primitive, depth gauges were either very expensive or a simple glass “U” tube mounted on graduated plastic plate with a wrist strap, Air was compressed within the tube and was difficult to see below 5 metres. Watches were expensive an very few divers wore one. A contents gauge was useful but I preferred the continental system of a reserve valve on the set. The Draeger valve was particularly good. Pat had a habit of carrying on with his dive after his buddy indicated his intention to ascend. He was diving with Sue Hamer on the Buck rocks and lost contact with her. She ascended from 35 meters alone. She was very distressed, fortunately I saw her breathing pattern separate from Pats and was alongside her when she surfaced (No surface marker buoys in those days). Surface markers became standard in the branch, although the standard of marker was left to the individual. Angus used a Duck decoy. A beautiful male Mallard swimming across the seas was not a perfect indication of a diver below but it brought smiles to boat covers. On another occasion a standard marker towed by a young lady member was swapped for a naked lady borrowed from Del Boy for the day. The diver was not amused. Pat married his childhood girlfriend Patricia in 1976 and they moved to Osmington Mills in Dorset. We met frequently and dived in seas around the UK using caravans as holiday homes and Pats famous “Puddle Jumper” for transport and a surface marker when we dived together. 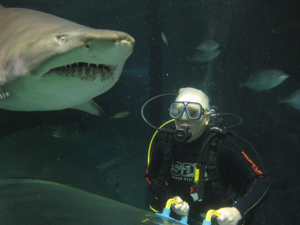 Lloyd Poulton BSAC 1st Class Diver PADI Master Diver. It was 0530, a bright July morning in Le Lavedou, Cote d’Azur, France. We were both awakened by loud banging on the caravan door and a cry of “BRING OUT YOUR DEAD”. He had arrived, it had to be Poulton! He had driven overnight in his Jaguar E Type from Cherbourg,” picking the Porsche and Ferrari bits out of his radiator grille on the way down had slowed him down”, he said. Even worse, he had found a white caravan alongside a white Rover 2000 tow car and banged on the door with his “war cry”, only to find it was not our car and caravan! Fortunately, MOST English couples have a sense of humour. He joined ECSAC in the mid 1960’s when he was Production Director of Rolls Royce at Crewe. Most Thursdays he came for the Club Baths session and stayed with Ann and I for the night. We became, and still are, firm friends. He is an Australian but has lived most of his life in the UK. He served in The British Army during the Korean War and the Suez Crisis in The Parachute Regiment as a gunnery officer. In 1971 he was offered a Civil Service commission in the Royal Air Force as a Glider Pilot instructor and examiner and moved to Grantham. He still spent many Thursdays with us at Macclesfield traveling across by motor bike. We dived together frequently and joined us for many club dives. We made many visits to Devon, Ann and I had an apartment in Stoke Fleming, Dartmouth at that time and we had another diving friend Tony Aylmer who had a dive shop and air station at Deer Park, a camping and caravan site in Stoke Fleming. 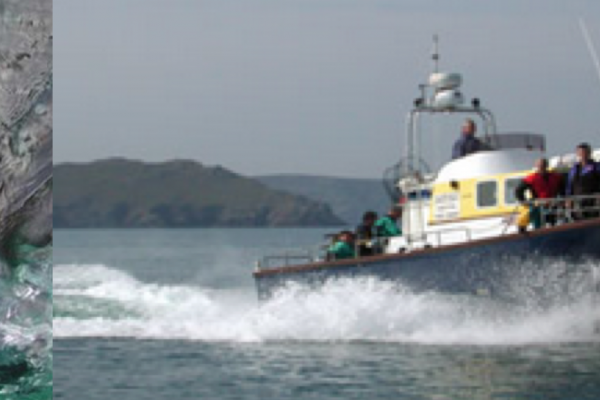 Tony and I bought a boat and together with Neville Oldham who also moved to Devon at this time we made lots of dives and met lots of interesting divers from branches around the Country. Lloyd married Joan in 1980 and he asked me to be Best Man at the wedding in Vancouver! Brilliant! We had a wonderful time in Canada, liked it so much we returned for a holiday several years later. Joan and Lloyd returned to Grantham until Lloyd retired from the RAF when the moved to Australia and a residence in Sydney. The Master Diver now has a new hobby! Master Bridge Climber! 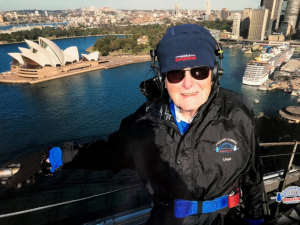 He has now climbed The Sydney Harbour Bridge 130 times. He has become a national celebrity and ha even had part of the bridge structure renamed The Lloyd Poulton Steps. Only a few of the great number of friends I have dived with over the 54 years of my membership and association with East Cheshire Sub Aqua Club and other BSAC Branches in many parts of the World. I am very proud to have been a member of Branch 100 and been able to enjoy the exceptional facilities available and provided entirely by members who also are very proud of THEIR Club. Next Post:My Life in the Blue Stuff – LIVE!